RADIAN AUTOMATED EXTERNAL DEFIBRILLATOR HR501 We are pleased to submit this proposal for RADIAN AED Automated External Defibrillators (AED). RADIAN AED is a portable electronic device (size of a laptop) Made in Korea that is used to treat Sudden Cardiac Arrest (SCA). Trainer Defibrillator Radian Aed HR-501T withh Greek language. 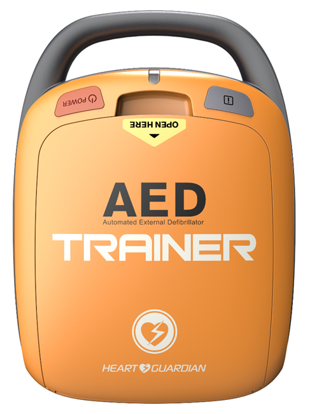 Ideal for staff training in the patient's defibrillation process. 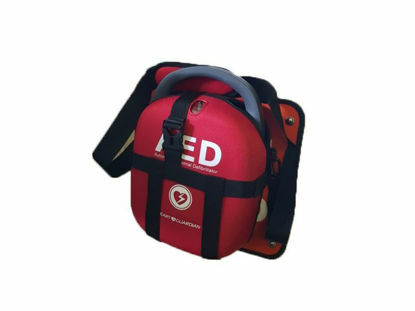 Radian Aed HeartGuardian Defibrillator Wall Mount. With retaining straps, to support and place the defibrillator on a wall. Suitable for Ships, public spaces and buildings, so that the defibrillator is placed in a prominent place for its timely use in case of need.